This Bone Folder are made of genuine cattle bone. They are mostly used in the bookbinding craft and the graphic arts. By using the bone folders a groove can be driven into the box or the paper. The paper and the cardboard is folded and smoothed with the bone folder. By this operation the material is stabilized and does not break. 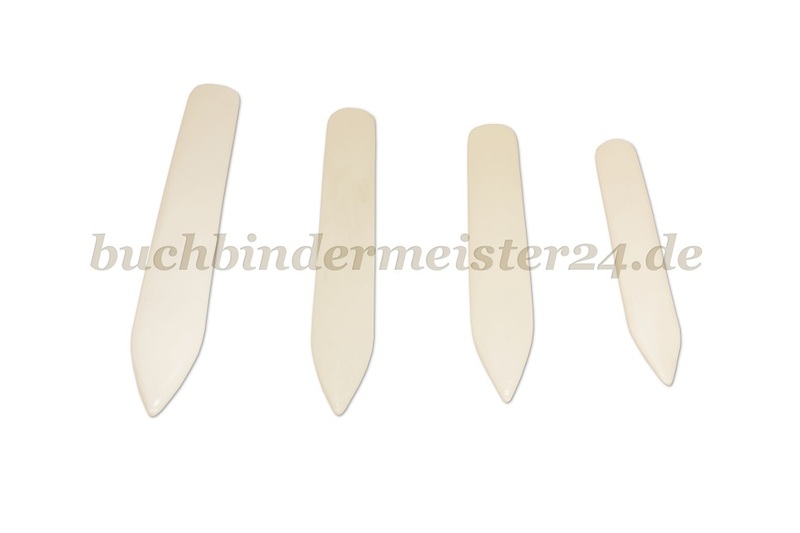 Our Bone Folder are available in various sizes.